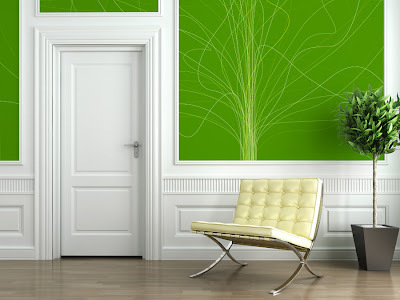 Photographic wall murals have a visually transporting quality that takes you from one place to another. Our graphic wallpaper murals have a decidedly more understated nature, which can make them easier to weave into your existing decor. A new graphic wall mural design about to launched on our site Wallgazer is called "Line Up." The main feature of Line Up is a bundle of lines that emerge into the mural as a tight cluster. Quickly and sporadically these lines break apart and start snaking over the whole of the mural. The free flowing lines projecting across the wallpaper give the mural a great sense of motion while still maintaining a less obtrusive, more static role in your decor scheme. As with most of custom wallpaper projects, this mural can be completely customized to better accentuate your present color palette. The background of the wall mural can be changed to another solid color. The line work can be manipulated as well to whatever color you'd like to accent the mural with. Check out our current Wallgazer designs here.